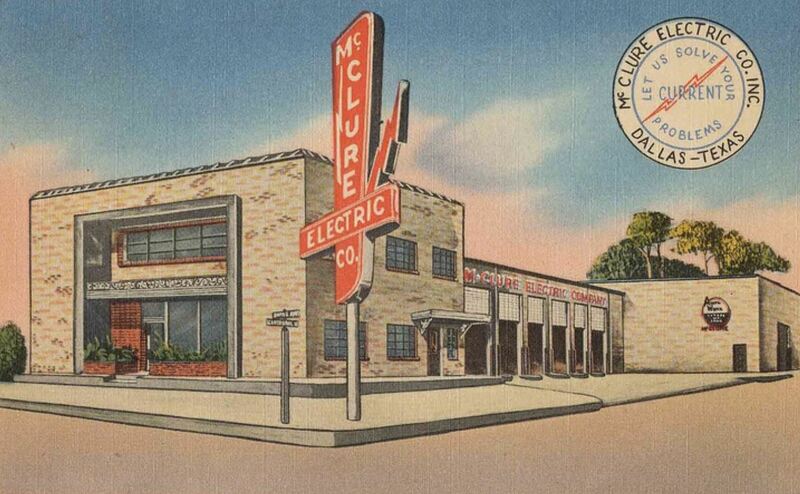 The McClure Electric Co. — which started life as the Emerson-McClure Electric Co. in 1922 — moved into their swanky new digs at Swiss and Cantegral in early 1952 and remained in business there until at least 1966. In the early ’70s, the building was home to Jim Dandy Fast Foods/Jim Dandy Fried Chicken for several years. Later, it appears that it might have been split up into office space. Currently it seems to be a fruit and vegetable produce company. And that poor building has lost all its character. 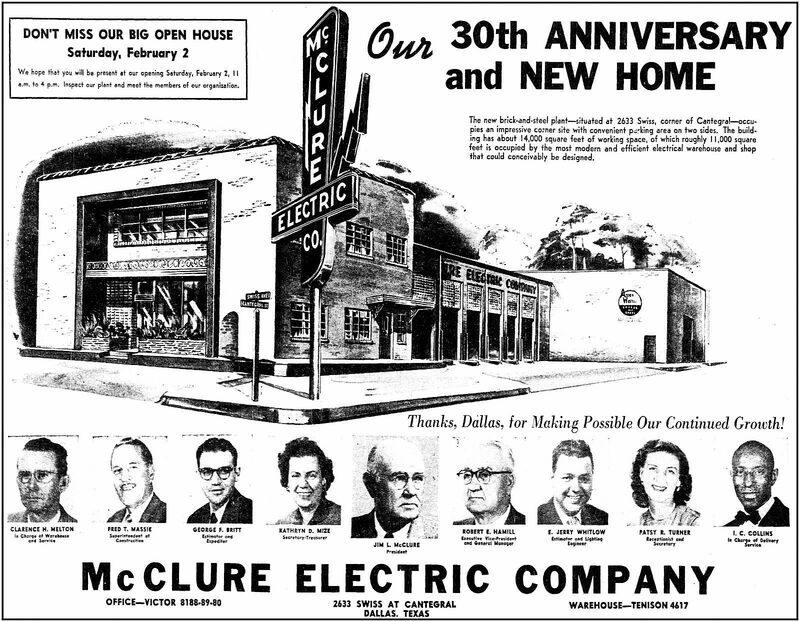 More on the McClure company’s grand opening at this Swiss Avenue location can be found in the Dallas Morning News article “McClure Electric Company At Home in Modern Plant” (DMN, Feb. 1, 1952). 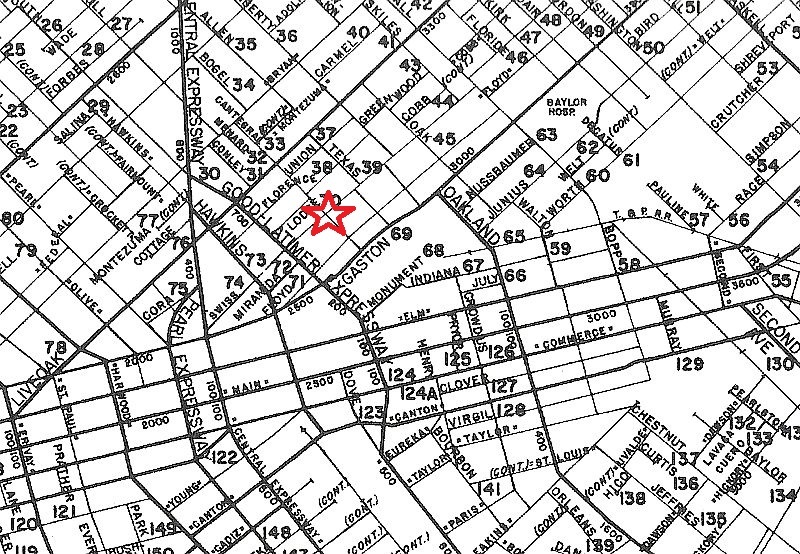 Notice that Fred T. Massie, Debby Massie Lacey’s father, is superintendent of construction for the firm. Of course, he would later found Massie Electric. Yes, I saw that. She would have liked to have seen that.